The CS:GO case sites works similar to Valves own in-game case opening functionality. So why do they exist? Because they use the skin market to offer the same functionality as Valve, but at a lower price (they 3rd party sites take a smaller cut than Valve). Valve and the 3rd party sites take their cut like this. The case and/or key cost an amount of money or in-game credits. Then you spin the wheel and get a random item worth $x in the skin market. Sometimes you get lucky and get a unique, high valued item but most of the time you get a common skin worth close to nothing. The 3rd party sites simply give you a better chance to get items worth more, thus taking a lower cut. The variance might be different but the overall result (if you spin 30 million times for example, you will have gotten skins of a higher value by the 3rd party site than if you opened chests in-game). This phenomenon has a specific term in the casino world. Its called RTP or Return to player. It’s a commonly published information on all the different slot games for example, and they vary a bit but are normally somewhere in the 96% range. 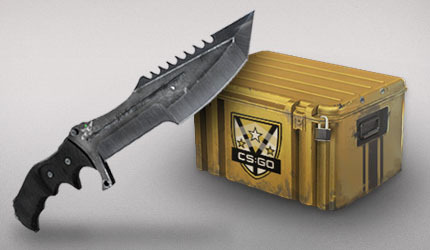 The excitement of Case openings is that you can get the super expensive knife you want for a small price, if you are lucky. In some cases, you will get items that you don’t like but that have a substantial value. Then you can always trade them or try again.